Open your eyes and enjoy the new rock music view. You have known it for a long time, it has influenced everything you have ever listened to from your old radio. An immortal music genre that fills wild and unrivalled playlists. Rock music can only compete against itself, inventing and elaborating all it has ever written and sung. A never-ending experimentation, and the new music is born from the ashes of its history. In this rock music channel, you will discover new emerging bands that dance their ritual on the stage and shake the audience with the powerful rhythm of immortal rock music. It takes time to launch a successful career in the arts. But you still have to pay the bills if you want to avoid becoming a starving artist. Here, we'll take a look at a few flexible side jobs perfect for the creative mind and offer tips on how to successfully balance business with the time you need to practice your primary profession. According to Chegg Career Match, those of you with a flair for creativity can continue to flex your mental muscles in virtually all industries . 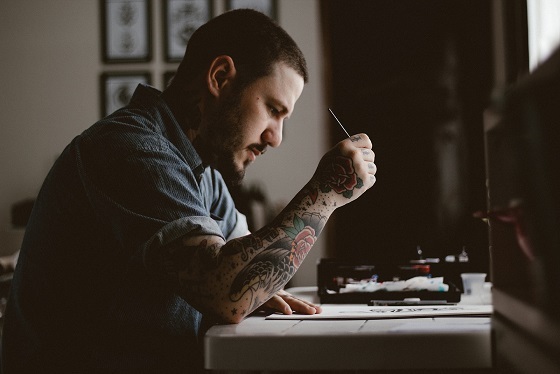 As an artist, you could lend your skills to local newspapers to create comic strips or leave a permanent mark on the world as a tattoo artist. If you prefer to showcase your talents on stage, a part-time job as a film archivist, best boy, or weekend news anchor may be a perfect fit. Other creative endeavors include set decorator and forensic photographer. Inc. adds that real estate investment is a lucrative career if you have the funds. Buying and selling properties has the added benefit of being ultra-flexible and gives you the chance to help newcomers to your hometown find their forever home. When you're trying to hold down a part-time job, engage in an active social life and make a name for yourself as an actor, artist, or musician, balance is the key to your overall success. While there's no way to fully anticipate what next week will look like, you can help yourself maintain a structured schedule by planning out a few key elements of the upcoming days. For instance, if you know you have an audition at 10 a.m. on Tuesday, don't plan to work past 9 p.m. on Monday so you have an opportunity to get rested and refreshed. It's easy to get sucked into a world where your primary focus is work. Don't be afraid to take time off for a quick weekend getaway. Not only will downtime benefit you emotionally by relieving stress , but also will clear your mind so you can pay more attention to honing your craft without mental distractions. Perhaps most importantly, as the Muse stresses, keep your end goal in sight. Thanks to the Internet, it's easier than ever to start your own business, even if you're in the process of trying to launch a career. If you choose to forgo an on-the-clock position in lieu of entrepreneurial endeavors, there are a few things you should know that can help you be successful until your big break. Organization is essential. Investopedia asserts that organization should be one of your primary concerns, especially if you're trying to work around auditions and interviews. Great service sells. It is not just enough to be good at what you do, you also have to put your customers first until you land your dream role and move on to bigger and better things. Marketing makes money. As a small business owner, you will be responsible for your own marketing practices. This includes starting a website and remaining active on social media. Invoicing is imperative.Keeping track of your money is vital to your success. Since you won't likely have time to sit behind a desk and create a paper trail, consider using a program that will allow you to handle your finances on the go. Square Up is a popular free app you can use on your phone to easily invoice customers and send payment reminders when needed. Planning to devote a lot of time to your side business from the comfort of your home? If so, consider putting together a home office, which will help you focus on the tasks at-hand and increase your productivity . However, you'll need to ensure the room (or space) is free of distractions (no television or streaming movies), as well as furniture and the proper equipment (computer, printer, and a phone). Having a dedicated space will prevent you from sitting on the couch with a laptop and your Netflix subscription. Your side gigs may not be your dream job, but remember even Harrison Ford spent time as a part-time carpenter before becoming the Hans Solo we know and love.